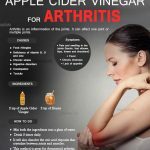 Arthritis is very common but less well understood disease; it generally means any type of disease that affects the joints. Actually, “arthritis” is not a single disease and it refers to joint pain or joint disease. People of all ages, sexes, and races can have arthritis. It is most common among women and occurs more frequently in people of older ages. Arthritis symptoms usually include swelling, decrease in movement, pain, stiffness, etc. Initially the symptoms of arthritis may come and go. The symptoms can be mild, moderate, or severe. However how effectively using fish oil for arthritis pain is discussed here. Does Fish Oil Help To Relieve Arthritis? 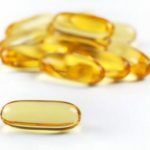 How To Use Fish Oil for Arthritis? Arthritis a disease where the joints of our bones swell and they become too painful to touch. For relief your doctor will prescribe you various medicines and some more to fight the side effects of the medicines. An easier way would be to include an anti inflammatory diet in your food. Some reasons why you can depend on fish oil for treating your arthritis is given below. Fish oil contains two types of omega-3 fatty acids; they are DHA (docosahexaenoic acid) and EPA (eicosapentaenoic acid). 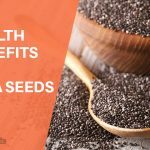 EPA and DHA can reduce inflammation, which is the basic cause of swelling and pain in patients. Fish oil is used for treating rheumatoid arthritis. 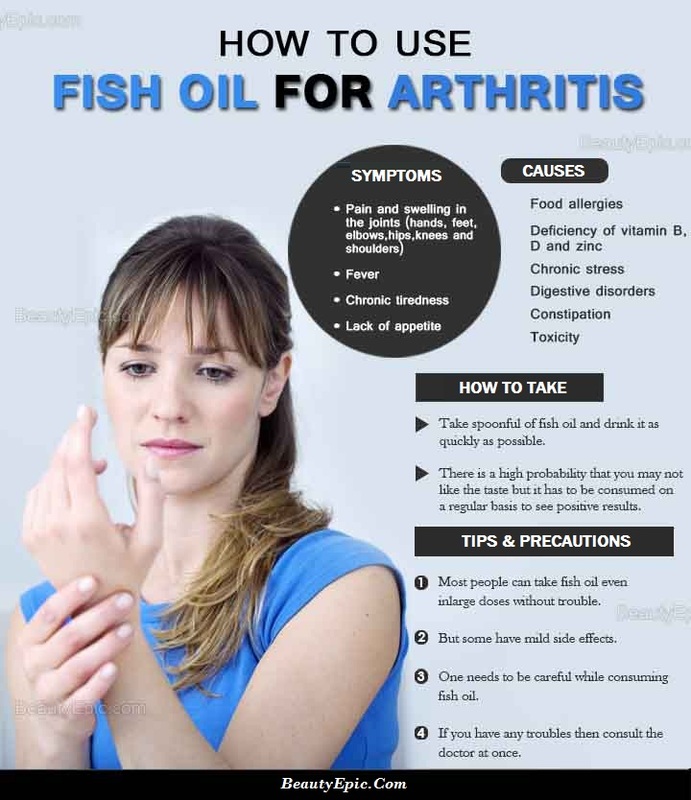 When you consume fish oil regularly you are less likely to develop arthritis. Fish oil comes from fish like salmon and tuna which are cold water fish. Some of these can have high levels of mercury, so it is better to do your research before picking up a supplement. Use care and check with your doctor before taking fish oil with any other alternative or complementary remedies as well. There might be medicine interactions, which needs to be watched and taken care of. This is the easiest method of consuming fish oil. Take spoonful of fish oil and drink it as quickly as possible. There is a high probability that you may not like the taste but it has to be consumed on a regular basis to see positive results. These are easily available in chemist shops and do not generally have a bad after taste. Consume the fish oil capsules as instructed by your doctor. This tends to improve the taste of the fish oil. Take three to four tablespoon of fish oil and mix it with any herb as per your preference. You could also add ginger juice. Consume one spoonful of this mixture. 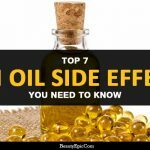 Most people can take fish oil even inlarge doses without trouble. But some have mild side effects. One needs to be careful while consuming fish oil. If you have any troubles then consult the doctor at once. It can also result in heartburn, nausea, and diarrhea in some cases. Due to high levels of mercury content, fishes like shark, swordfish, king mackarel, etc., should be avoided by pregnant women even though they are a good source of fish oil. 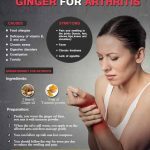 How to Use Ginger for Arthritis?